Singer and songwriter Martha Davis has fronted some form of her seminal new wave band, The Motels, since first forming the group in 1971 in her hometown of Berkeley, CA. Originally, under a few different names, the group adopted the moniker of the Motels after landing in Los Angeles in 1975 with a record contract from Capitol. Over the next decade, the Motels would hit the Billboard Chart Top 100 over and over again with hits like “Only the Lonely” and “Suddenly Last Summer.” Davis lead the group though various lineup changes with her sonorous and melancholy voice over darkly pleading synths and edgy guitars, giving the tunes an unmistakable and alluring hook. Over the years, Davis has re-formed the group time and again, and in 2013, the band was re-branded with a permanent name, Martha Davis and The Motels. Possessing a voice still as effervescent as it was 40 years ago, Martha Davis and the Motels perform at City Winery Napa tonight, July 27, with their timeless melodies and irresistible charm in tow. Tickets are still available, so don’t miss this chance to re-connect with an old favorite or discover a classic group for the first time. City Winery Napa is located at 1030 Main St, Napa. 8pm. $25-$35. 707.260.1600. Sometimes, you have to go looking far and wide for a juicy story. Sometimes, the story comes to you. Such was the case when the Bohemian’s office received a full-page press release from a candidate for the office of Sheriff…in Virginia. Remember, we cover the North Bay in California, so the discrepancy in location piqued our interest. Then, independent candidate Chris DeCarlo’s claim that, if elected Sheriff, he would arrest Virginia elected officials who accept bribes and charge them with treason and sedition got our attention. And his offer to “Watch the rap video Democracy Rides Again on Youtube” REALLY got our interest. Yes, it’s an actual rap video and yes, as far as we can tell, it’s real. 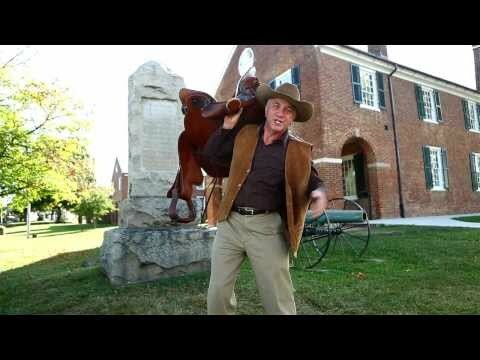 I don’t know what DeCarlo’s chances are of getting elected, but he just made a classic campaign video for all time. Personally, I’m pulling for him. Watch out, fat cats! There’s a new Sheriff in town. New Jersey punk rock band Titus Andronicus have always been as ambitious as they were aggressive in their fiery punk revelries. Fronted by songwriter Patrick Stickles, the band is no stranger to concept albums, producing a Civil War themed record in 2010. This month, though, the band is taking things to a whole new level with the forthcoming release of The Most Lamentable Tragedy. TMLT concerns an unnamed protagonist whom we meet in deep despair. Following an encounter with his own doppelgänger (an enigmatic stranger, identical in appearance though opposite in disposition), long held secrets are revealed, sending our protagonist on a transformative odyssey, through past lives and new loves, to the shocking revelation that the very thing that sustains him may be the thing to destroy him. That’s some heavy stuff right there. The Most Lamentable Tragedy comes out on July 28. Below you can stream the new album via NPR, and in September you can see the band when they perform at the Phoenix Theater in Petaluma. Yo La Tengo, the Cure, and total world destruction; these are a few of my favorite things. Which is why this new video from prolific New Jersey rock band Yo La Tengo seems almost too good to be true. The long-time trio of Ira Kaplan, Georgia Hubley and James McNew are known for their unbelievable ability to play ANY song by request, and their upcoming covers album, Stuff Like That There, tackles classic songs by everyone from Hank Williams to the Lovin’ Spoonful and re-works their own tunes, culled from a 30-year career in music. Set for release at the end of August, the album also features a demure cover of popular ’80s hit “Friday I’m in Love” by British new wave icons the Cure. And now, Yo La Tengo present that song’s bizarrely hilarious official video. It’s a tale of woe, as singer Georgia Hubley wanders the streets collecting nicknacks while an invading force of extra-terrestrial hearts pummel mankind into the stone age. I love it! Los Angeles singer/songwriter Jake Smith has spent the last decade roaming the wilds of America’s clubs and venues under the moniker the White Buffalo. Through his wanderings, Smith is more like a lone wolf, stalking up and down the highways of America and slinging his hearty acoustic roots rock. Tonight, he returns to City Winery in Napa for a solo performance that will feature a slew of new songs from his forthcoming album, Love and the Death of Damnation. Recently, the White Buffalo announced that pre-orders of the new record are available with plenty of bonus goodies thrown in to sweeten the deal, like behind-the-scenes looks of Smith making the record, alternate versions of his songs and more. Smith’s new music has also been the subject of an ongoing online documentary series from Ernie Ball capturing his songwriting and recording in an intimate studio space. 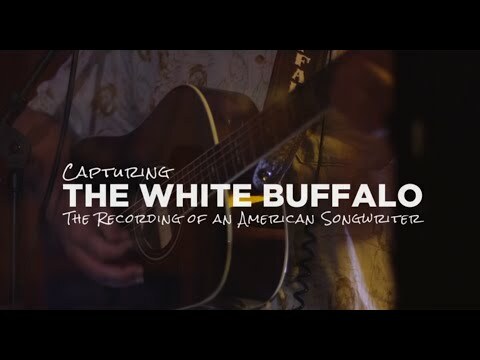 Check out one of webisodes below and head to Napa tonight to catch a glimpse of the White Buffalo for yourself. City Winery Napa, 1030 Main St, Napa. 8pm. $18-$22. 707.260.1600.